Bench 1775 Winery, located on the Naramata Bench north of Penticton, had GM and winemaker Val Tait, join in the winter of 2012. 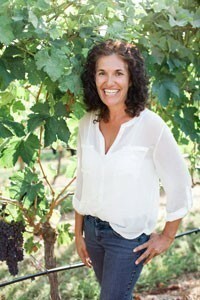 Her goal is to make pure, varietal-specific wines that reflect the planted clone varieties, the vineyard sites, and the microclimates of the fruit’s origin. Val has a great resume, making wines at Poplar Grove, Painted Rock, and Mission Hill in the past. A new owner joined Bench 1775 Winery in 2014 and gave Val the freedom to manage the wine program. Val uses a combination of state-of-the-art equipment to produce wine but also uses a minimalist approach to winemaking. The complexity of her wines comes from multiple picks from individual blocks, fermenting them as small lots before blending or ageing in oak barrels. Also using indigenous yeasts to ferment their wines, or may add only varietal-specific yeasts coming from specific vineyards from regions in France. I have tasted Val’s wines before from Bench 1775 and recommended them, and I do here again. Thank you to Val and Bench 1775 Winery for sending me these wines to review. Bench 1775 Brut Rosé 2014 ($21.90) – A blend of 50% Chardonnay and 50% Pinot Noir. It has a light orange-copper colour with persistent tiny bubbles in the glass. It is youthful with light aromas of lees, red fruits and some leafiness. Nice and round, with tiny creamy bubbles, that do have a bit of a biting edge. Higher acidity, body, and flavour intensity. Tart red fruits primarily, with some minerality on the finish. 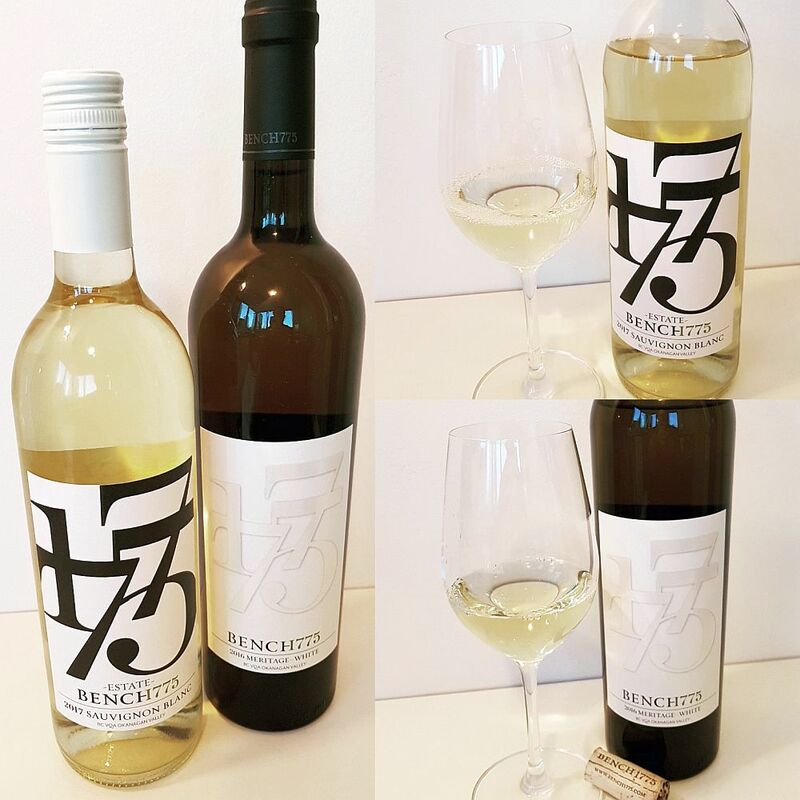 Bench 1775 White Meritage 2016 (wine club exclusive) – This blend is made from 54% Semillon and 55% Sauvignon Blanc grapes; A white Bordeaux blend. Partially aged for 12 months in new French oak barrels. It has a youthful nose, with aromas of tropical fruit, vanilla, and flowers, evenly balanced. The aromas are more on the sweet than the citrusy side. It is off-dry, full-bodied, with a very silky mouthfeel. The lower level of acidity in this wine gives it a softer mouthfeel. More tropical fruits on the palate, with lesser amounts of pears and apples. With some air, I also picked up some green fruits and lime flavours. Stony mid-palate. With decanting the green fruit and lime flavours no longer were detected. The wine has a medium length, finishing off-dry, with some pepperiness, bitterness, vanilla oak, and tropical fruit. Rating: An elegant, complex wine with tropical fruit flavours and a bit of sweetness. Bench 1775 Estate Sauvignon Blanc 2017 ($25.90) – Clear, bright lemon colour. It has a lively nose, with a mix of asparagus, jalapeno pepper, citrus, and a hint of floral; light peach in the background. With decanting there was more lime and grapefruit, and pine needles aromas, and less asparagus and jalapeno pepper. It is dry with salty minerality first catching my attention. Round with a light acidic prickle on the tongue. Green fruit, bramble leaf, grapefruit and grapefruit rind flavours, along with a touch of peach and honey later on. With decanting, there was also some pear flavour I also picked up on. Medium plus length, finishing with mouth-watering acidity, and flavours of grapefruit plus rind, then apples and apple pit on the very finish. Not an overpowering Sauv Blanc like you can get from New Zealand. This wine is more restrained; acidity and fruit in harmony. A really good wine. Rating: – A tasty, restrained Sauvignon Blanc with a nice mix of asparagus and jalapeno pepper, and citrus fruit flavours. 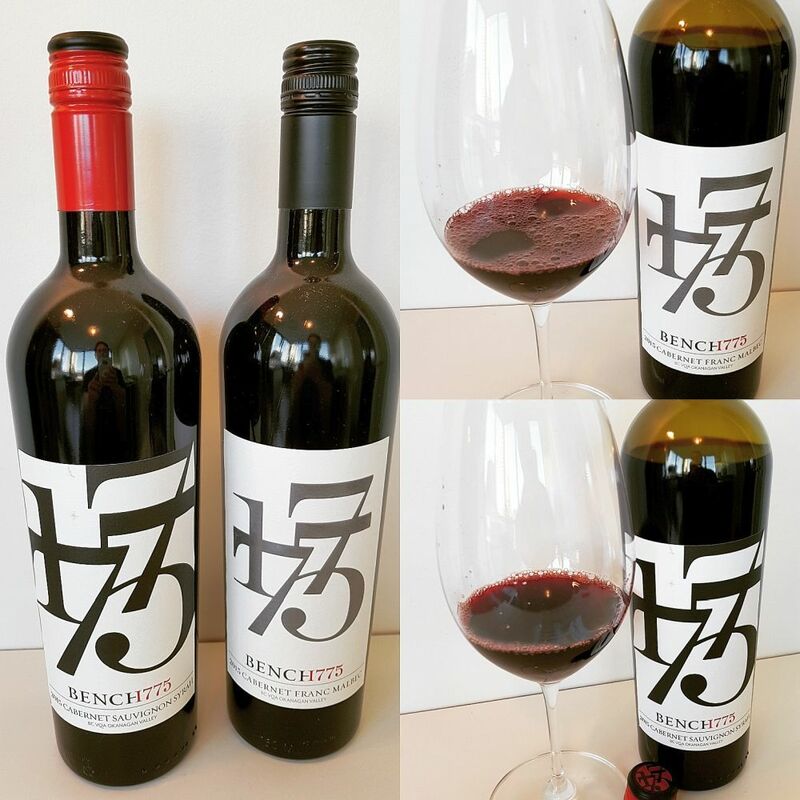 Bench 1775 Merlot 2014 ($29.90) – Almost opaque garnet in colour. Medium intensity aromas, that are primarily dark fruits, along with ripe blackberries, and hints of leather and light oak. The wine is dry and round with fuller mouthfeel. Smooth to start but the tannins get stronger toward the finish. Primarily dense, dry black fruit flavours and blackberries with some bitter undertones from oak. A hint of minerality, and some sweet spices mid-palate that fades to the finish. Medium acidity. Nothing sticks out in this wine. Its flavours are tightly bound. I tasted this wine again the following day and it kept its tightness, although I did pick up a light floral note. It finished with dark fruits, bitter dark chocolate and a hint of sweet spice and oak. This wine can do for another 4-5 years of ageing I think to let it open and develop some tertiary aromas and flavours. Rating: – A solid, dense black fruited Merlot that can easily age another 4-5 years. Bench 1775 Cabernet Sauvignon Syrah 2015 ($29.90) – A blend of 48% Cabernet Sauvignon, 46.5% Syrah, and 5.5% Merlot. Osoyoos grapes. This wine has a deep garnet in colour; almost solid to the edges of the glass. Light intensity aromas of black fruit and light smoke. With decanting there was also black tea leaves and a hint of capsicum on the nose. It is dry, round, and fuller bodied. Almost silky mouthfeel with fine tannins. Light intensity fruit flavours, that blended together that it was hard to separate them out, but I did note black fruits in general, with blackberries and black currants in particular. There was also some minerality to this wine. With decanting, the minerality was lessened, while black tea leaves, smoke and some tarry flavours were detected. The wine has a medium length finishing with firmer tannins; a little grippy. Black pepper, smoke and some sweetness as well on the finish. I wish the finish was a bit longer, and it was with decanting, along with getting more varied aromas and flavour. Rating: – A deep, brooding wine. Lots of dark black fruits with black tea leaves, smoke and tarry flavours. 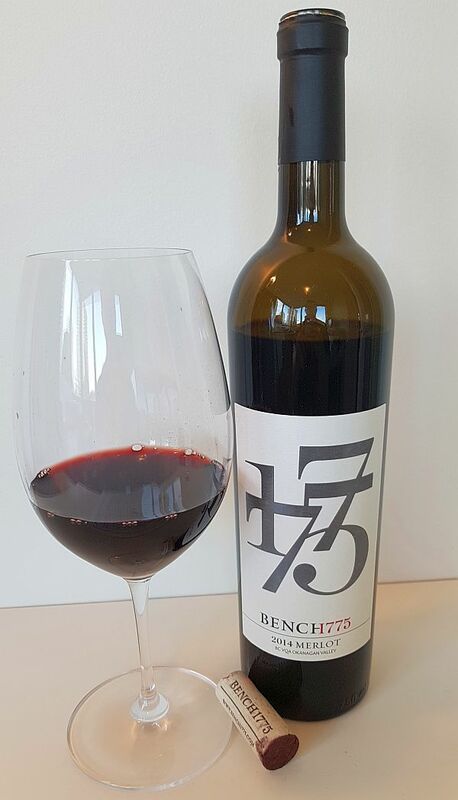 Bench 1775 Cabernet Franc Malbec 2015 – A 50/50 blend between the two grapes, all coming from the Oxbow Vineyard on the West Bench, Osoyoos. Dull, garnet colour, solid at the core, but transparent toward the edges. Medium plus intensity nose; an interesting mix of smoke, black fruit, floral, nutmeg, black pepper and some tarriness. With decanting more black fruit, raspberries, and a green edge. It is dry and round, with medium intensity tannins, and a fuller mouthfeel. Ripe dark fruit flavours, ripe plums, and a mix of cedar and nutmeg spice. Understated oak. Fine tannins that get firmer on the finish. Medium plus length, finishing with black pepper, black fruit, nutmeg, and some chalkiness. Lingering notes of red cherries and cedar. Rating: A solid dark fruit wine to pair with some substantial dish like roast beef. You can purchase the wines through the Bench 1775 Winery’s website. The BC Liquor Stores sell the Cab Franc Malbec. Here is the 16-page list of wine shops and restaurants offering Bench 1775 wines. In case you would like to see the abbreviated review of these wines on youtube, with music, I made this video for you.